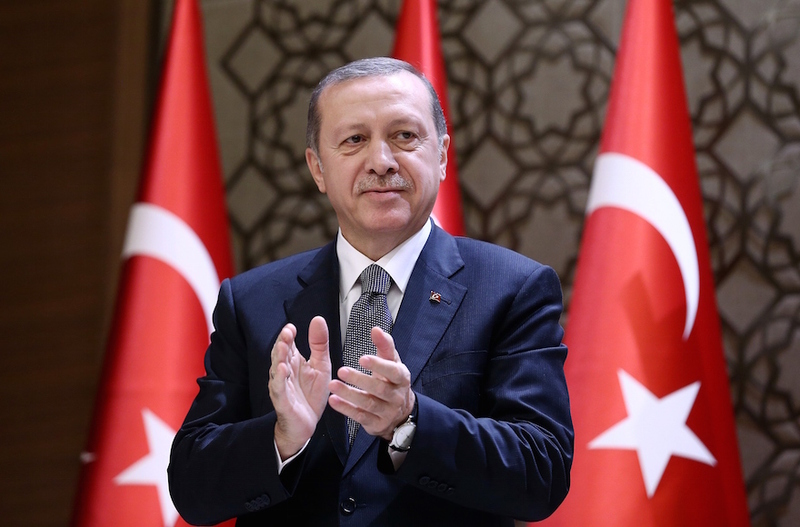 (JTA) – President Recep Tayyip Erdogan of Turkey accused Israel of restricting Muslim worship while calling on all Muslims to embrace the Palestinian cause and protect Jerusalem. Erdogan made the call to Muslims on Tuesday during public remarks at the Symposium of Jerusalem Platform in Istanbul. A Turkish government document sent to JTA summarized his remarks. “It is not only the duty of unarmed Palestinian children to protect Al-Aqsa mosque,” Erdogan said. His comments come as Israel and Turkey are taking the last steps toward fulfilling a reconciliation agreement signed over the summer restoring diplomatic ties following a six-year freeze. Erdogan also addressed the ongoing civil war in Syria, saying that Turkey was forced to intervene in Syria alongside the rebel’s Free Syrian army in order to “ensure justice and put an end to the reign of the oppressor Al-Assad,” while condemning the United Nations for its inaction and lack of attention to the Muslim world.